Lanikai is a top ukulele manufacturer. The brand prides itself in making “real ukuleles for real musicians”. This ukulele-making company has produced some of the best ukuleles for beginners and professionals in the industry. With a belief that the musician ought to develop a bond with their ukes, this brand pours its all into making all its ukuleles. So, you can be confident that when you purchase a Lanikai Ukulele, you are purchasing a well thought-out, well-crafted instrument. Today, we review five of Lanikai’s finest ukuleles. And in the buying guide, section, we are also going to take you through the Lanikai brand. 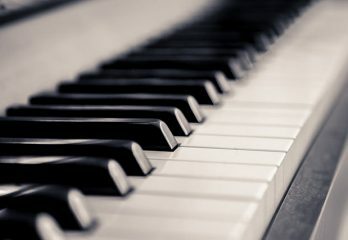 A better understanding of the brand should help you understand and appreciate their instruments better. So, without further ado, let’s get to our review for today. Get ready to meet Lanikai up close! Our review starts off on a beautiful note with the lanikai TunaUke CMTU-S Ukulele. This soprano ukulele from Lanikai is truly beautiful. That’s the first thing we noticed about this ukulele. It’s a down to earth uke made with a high quality tone wood. Its natural satin finish is also quite charming too. And it has an advantage over gloss because it does not attract fingerprints. Besides its curly Hawaiian mango body, this ukulele also comes with a beautiful abalone rosette, a beautiful detail that also adds to the looks of thus uke. Now, these materials besides making this look beautiful also add to the feel and quality of this uke. Obviously, Lanikai put in a lot of work into the construction of this ukulele. The build quality is solid with first class materials that assure you of durability. The feel of this ukulele is also great. From the curly Hawaiian mango body to the rosewood fingerboard which feels super smooth to the fingers, you’re going to love this uke. Plus, the size is also compact and small enough for anyone to easily play on. Lanikai chose Aquila strings for this uke. As you know, Aquila strings are high quality strings. So, there’ll hardly be any need for you to swap them out when you get the ukulele in your mail. And now to sound, we found the tone of the Lanikai TunaUke CMTU-S Ukulele to be super rich. This is thanks to the beautiful tone wood Lanikai chose – the curly Hawaii mango. It gives that truly Hawaiian feel that gets everyone grooving in no time. In all, it’s nearly impossible finding a con with this ukulele. It’s that good. Durable construction with high quality material. Lanikai chose to make the Lanikai LK-TEU Koa UkeSB Ukulele from Hawaiian Koa. In case you’re new to the world of ukuleles, Koa is the original tone wood used to make ukuleles in Hawaii. In fact, there are many ukulele purists that snob any other ukulele not made from Koa. So, Koa wood is a fantastic tonewood for making ukuleles. This ukulele is all Hawaiian Koa except for the neck that is made from mahogany. With these high quality materials, you can be assured of a rich tonal quality. The sound quality here is also impressive too. The build quality of this ukulele is also quite good which means that this ukulele will see many years of use. Here is a ukulele you can depend on for the long haul. One outstanding feature of this ukulele is that it comes with electronics. 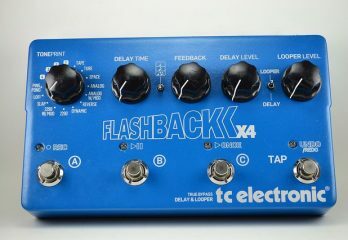 It comes with a Fishman Kula Preamp System. This means that you can use this ukulele for your live performances in front of any sized audience once you hook it up. There’s also a USB output here which allows you to record and share your ukulele song in seconds. This feature is super easy to use. 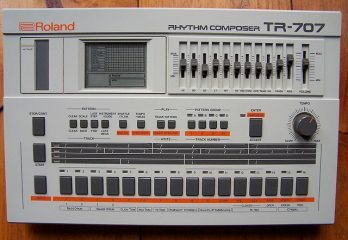 It’s a simple plug and play and you can share your song. In looks, this tenor ukulele is really attractive. The Koa body is already a huge plus. Then we also have the gloss finish which gives this its shine (be careful of fingerprints though). Then, there’s also the genuine mother-of-pearl inlay that Lanikai used here. All these work together to give a truly stunning uke! 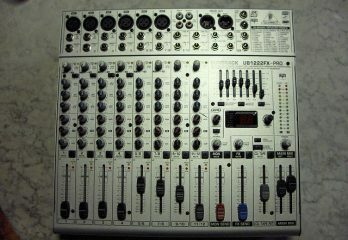 It’s a bit high end though, but its looks, playability, and sound are totally worth it. Comes with USB for instant recording and sharing of songs. A little high end but definitely worth the price. 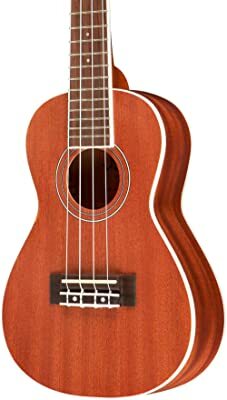 The Lanikai LU-11 Soprano Ukulele is obviously a beginner uke. 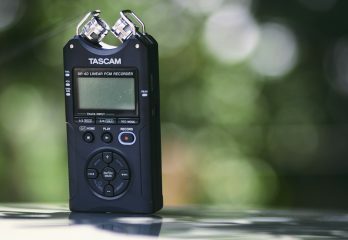 It’s a budget instrument coming at a sub-$100 price tag. And for a beginner ukulele, we’ve got to say that this uke is of decent quality. In fact, it is sufficient for anyone to begin learning to play the ukulele with. Made from Nato, you might not expect the same level of premium feel you’d expect from a Koa or mahogany construction. And that’s fine too considering the price. Nonetheless, it’s important to note that Nato still gives this uke a warm, bright sound that’s just delightful. The only small ish here is that it’s not best for hard strumming. It tends to give a tinny sound if you hard strum. But even at that, as a beginner uke, nato isn’t so bad. Now, the Lanikai LU-11 Soprano Ukulele is super easy to play especially for the beginner. The fact that this ukulele comes in the soprano size also makes it even more playable. It’s a small size playable by even kids and easy to hold by people with small hands. This ukulele comes with nylon strings. 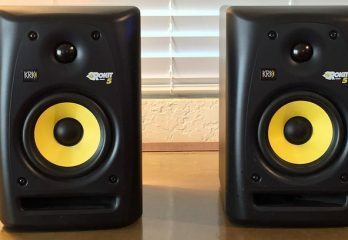 Well, they are not the best in the market but they will suffice. If you can, it’s not such a bad idea to change them out. Other than that, they will serve. Altogether, this uke gives a well-balanced that’s decently full and bright. Together with your purchase, Lanikai includes some accessories which is why this comes as a bundle. You get a clip-on tuner, a polishing cloth, a gig bag, and an instructional video. That’s basically everything the beginner needs to begin playing out of the box. Decently priced for a bundle. Great ukulele for beginners and kids. Not great for hard strumming. Strings are not the best. The Lanikai LU22CGC Concert Ukulele is a fantastic concert uke. It looks really good too. Check out its satin, natural finish and the white trim along the edges of the front panel. This is a beautiful ukulele, no doubt and you’ll be proud to own it. It feels good to hands and is also comfortable to hold while you play. With a mahogany construction, you find that this ukulele is made from solid stuff. While it might not be Koa, mahogany makes a fantastic substitute. It gives this ukulele a warm, beautiful sound with a beautiful tone as well. The construction of this uke is also pretty high quality. Lanikai obviously did a good job. The ukulele looks good and also looks like it is going to last several years of use. Choice of tonewood and other materials of this ukulele is super! This ukulele is quite affordable, so, it’s within the easy reach of most players. It’s better suited as a student or beginner ukulele though. 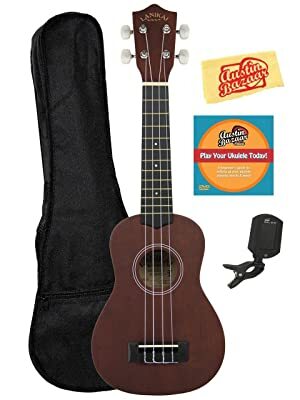 However, professionals will also find some use with this uke especially as a spare or something to just play around with. Hobbyists would love this uke too. 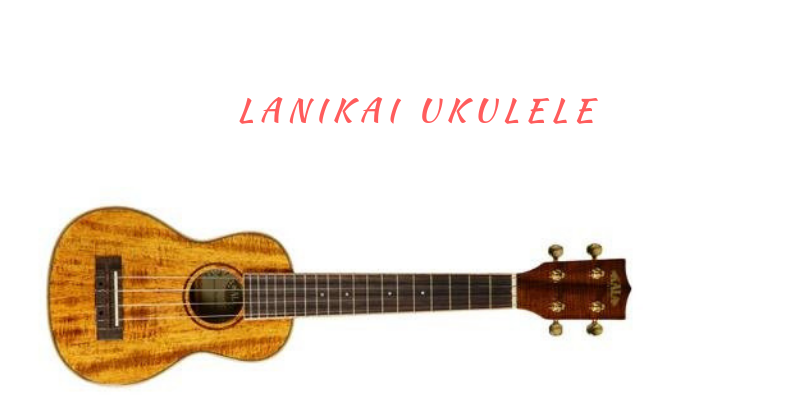 With a comfortable tone, comfy body, and attractive body, the Lanikai LU22CGC is easily one of the finest ukes in this price category. We absolutely love this ukulele. Solid construction and build which assures durability. Frets could use some filing. 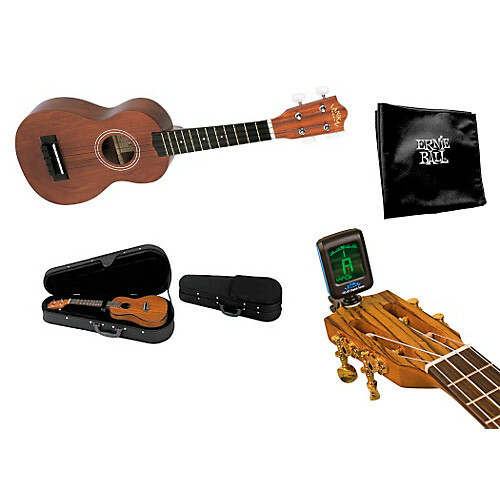 Lastly, check out this bundle ukulele from Lanikai. 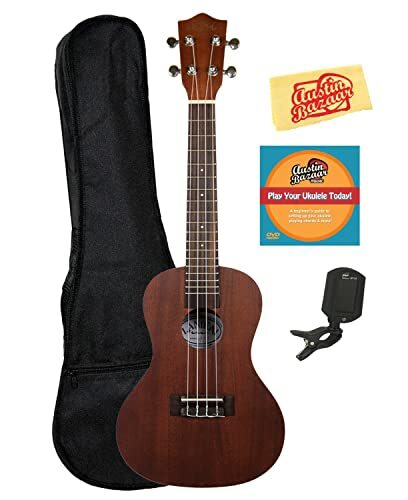 It is quite affordable and comes with everything you need as a beginner to begin playing this uke out of the box. There’s a clip-on tuner, instructional DVD, gig bag, and polishing cloth in this bundle. So, you can see? Value. Now, this ukulele is made from Nato which would naturally get anyone concerned. Well, the concern is justified since nato isn’t exactly the best material for making ukuleles. Fortunately though, nato still sounds good. So, though it might not sound Koa good, it still sounds pleasant nonetheless. 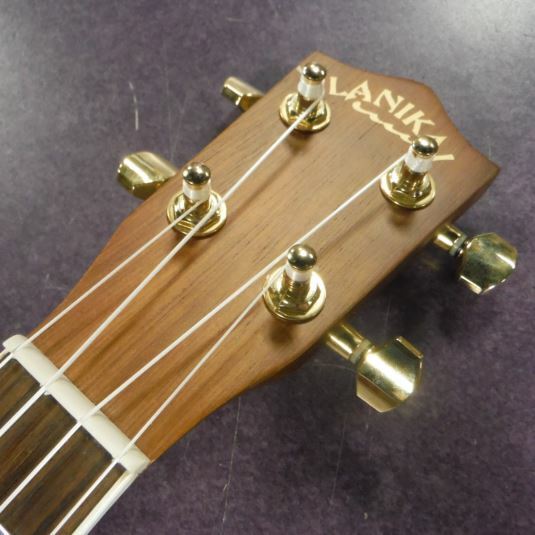 The Lanikai LU-21C’s fretboard is rosewood which feels good to the fingers. However, the frets are a bit sharp. So, if you’re not careful, you could draw a little blood. It might be a better idea for you to file down the frets before you begin playing. With Aquila strings, this ukulele scores high in our books, especially for a budget instrument. The strings hold their tune for a long time once you completely break them in. And thankfully, the tuners here are up to the task of giving this ukulele a good tuning. In looks, this uke is a real beauty. Its finish is a beautiful redwood, and the contrast with the white binding makes this ukulele even more striking. 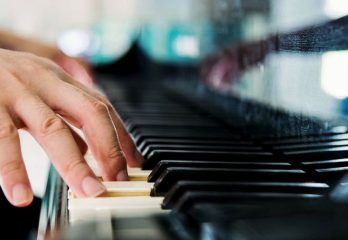 Tuner might be a little too difficult for beginners to use. Lanikai, as you already know, is a ukulele-making brand. The brand concentrates its efforts into making high quality ukuleles that loads of musicians currently use around the world. According to Lanikai, it also makes ukuleles for the discerning musicians. This is a testimony to the amount of heart and painstaking detailing that goes into making a Lanikai ukulele. The brand makes the effort to capture every nuance that makes its ukuleles truly unique. Lanikai ukuleles are usable on stage, for recording or even for songwriting. They are also quite popular for their style, dependability, and playability. It’s one of the reasons Lanikai ukes are so popular. Lanikai promises that its ukuleles will provide you with the sparks of creativity to fuel your musical passion and inspire you in your musical journey. This is possible due to the wide range of high quality tone woods and premium features Lanikai incorporates into each of its ukes. Lanikai is so passionate about all things uke that it advises its customers to pour their all into their music. It also constantly reminds its customers of the extreme power they will wield with their music to form a bond with their audience. It’s not surprising therefore to find that Lanikai actually has its own record label where it has its own Lanikai artistes. The brand is not just passionate about ukes, it’s passionate about music and musicians. 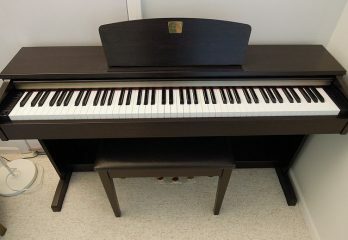 The brand is a sub-brand under Hohner, a large and well known brand popular for its high quality musical instruments of all kinds. Currently, Lanikai carries all kinds of ukuleles which it categorizes by type and by series. But besides ukuleles, Lanikai also carries an assortment of different types of accessories from bags to cases to stands for ukuleles. Why Are Lanikai Ukuleles So Great? Well, there are many reasons Lanikai ukuleles are so great. First of all, Lanikai ukuleles represent everything that’s truly Hawaiian about the ukulele. It hand-makes all its ukes, and not just anywhere but in the legendary homeland of the uke – Hawaii. Also, this brand carries all kinds of ukuleles suitable for beginners as well as professionals. This means that whatever your playing skills may look like, there’s definitely one Lanikai ukulele for you. How Much Do Lanikai Ukuleles Cost? Well, it’s a whole spectrum of prices. There are a few Lanikai ukuleles you could find for less than $100. Of course, expectedly, as the manufacturers add more premium features, prices go up. So, basically, what we’re saying is that Lanikai carries budget ukuleles, moderate ukuleles and high end ones as well. There’s something for every pocket here. The Lanikai TunaUke CMTU-S Ukulele is our best ukulele in today’s review. It might not come with all the premium features of the Lanikai LK-TEU Koa UkeSB Ukulele. But then again, the latter is also more expensive. 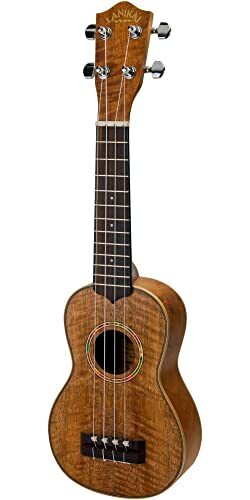 For a perfect balance of price and features, therefore, the Lanikai TunaUke CMTU-S Ukulele is our clear winner!